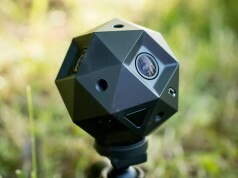 VideoStitch, the company behind the eponymous 360 post-production software suite, today announced their first 360 camera, the Orah 4i. 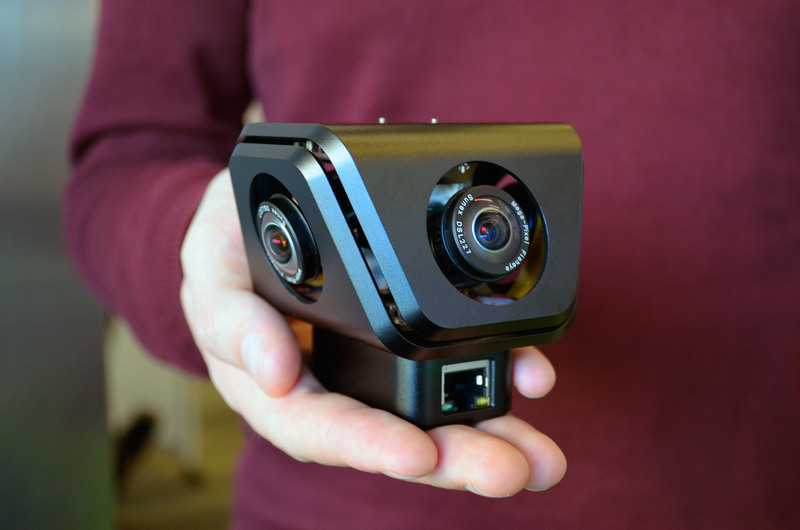 The all-in-one solution aims to take the hassle out of creating 360 videos by automatically stitching and transmitting them live to VR headsets and video streaming platforms. Orah 4i isn’t your rough and tumble 360 action cam like Nikon’s 4K KeyMission 360—more like a replacement for the sort of mishmash of multiple GoPros that professional content creators have been using up until recently. 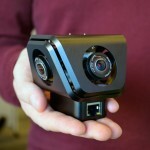 The company is hoping that 360 video creators will want the Orah 4i system based on a few convenience factors, like built-in image stabilization and its automatic post-processing function which goes through the supplied ‘stitching box’, a dedicated mini-computer designed to polish up the video for livestreaming that then outputs equirectangular video, or the same format used by Facebook, Youtube, Vrideo, Littlstar, Bitmovin, and others. 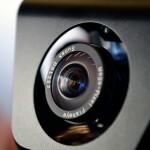 I got to see a functional build of VideoStich’s new camera up close. Although the unit isn’t yet sealed, it was fully functional, including livestreaming. I sat near the camera and put on a Gear VR headset. Inside, the scene was the same place as where I was, except from the camera’s viewpoint, and about 30 seconds delayed, which meant I actually saw myself come walking over, sit down in the chair, and put on the headset… it was oddly surreal, like looking back in time from a different vantage point. That 30 second delay is dependent upon the streaming protocol. VideoStich CEO Nicolas Burtey showed me the camera view from the camera on his laptop, instead of through the headset, which had a delay closer to 10 seconds. This is all in line with typical live broadcast delays, Burtey said. The quality of the video didn’t stand out as any better or worse than many of the monoscopic 360 rigs I’ve seen in the past, but that’s good given that the video is being stitched together and livestreamed wirelessly to my face within 30 seconds, whereas most of what I’ve seen elsewhere has the benefit if being played back locally. The stitching didn’t reveal any blatant seames. Even if the quality is largely the same as other multi-lens 360 cameras of this sort, having it all together in this compact device surely beats dealing with a bunch of GoPros, and each of their cables and memory cards. 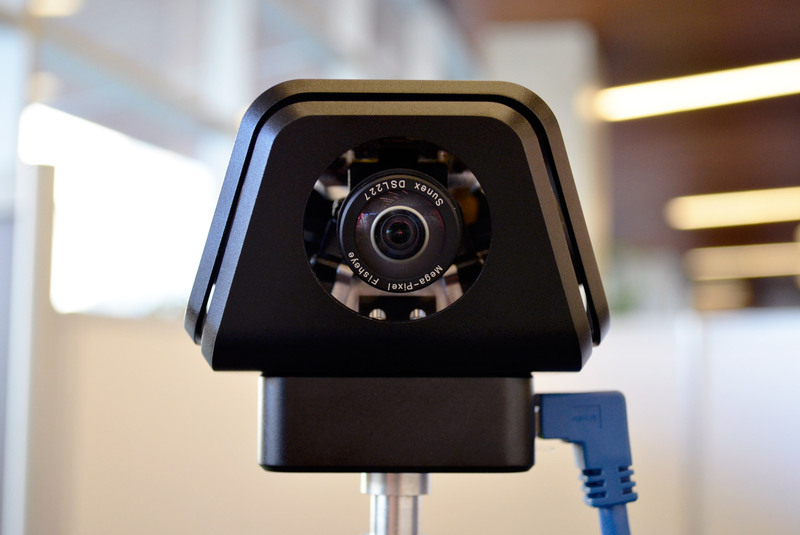 The camera is powered over the same ethernet cord that sends its data to a processing box which handles the recording, stitching, and streaming of the data. Relying on a breakout box (which is actually a tiny PC running Linux) means the camera isn’t quite as compact and standalone as its sleek industrial design might have you believe, but it brings a level of flexibility and expandability that VideoStich’s target market (professional creators) will demand, like the option to connect a high-end professional sound capture card via USB. 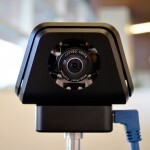 The stitching box, which is bundled with the camera, can either hang directly on the tripod or be wired up to 300 ft via an ethernet cable—coincidentally the only port provided for data transfer from the camera to the mini-computer. CEO and founder Nicholas Burtey maintains that all Orah 4i cameras will come with the stitching box, however there is the future possibility that you’ll be able to buy a version without the stitching box unit so you can supply your own solution. Boasting 4 channel ambisonic sound with 4 on-board microphones, the Orah 4i is hoping to make an impression with a growing number of 360 content creators that demand a bare minimum of positional audio in their videos, but don’t necessarily want to dive deep into the audio accessories bin to make it happen like with aftermarket 360 rigs. Pre-orders for Orah 4i are going at the introductory price of $1,795 before it eventually retails for $3,595 MSRP at a later unspecified date. At the time of this writing, the 360 camera system is slated to arrive without an external battery, so you’ll need to spring for a 19.5 V battery pack if you intend on taking the 4K 360 on the go, something a professional video director might already have at their disposal. I downloaded Jaunt for my DK2 last night and started to watch a video. I don’t quite get the appeal of 360 degree video. The lack of stereoscopy makes the experience really bland in comparison to true 3d. 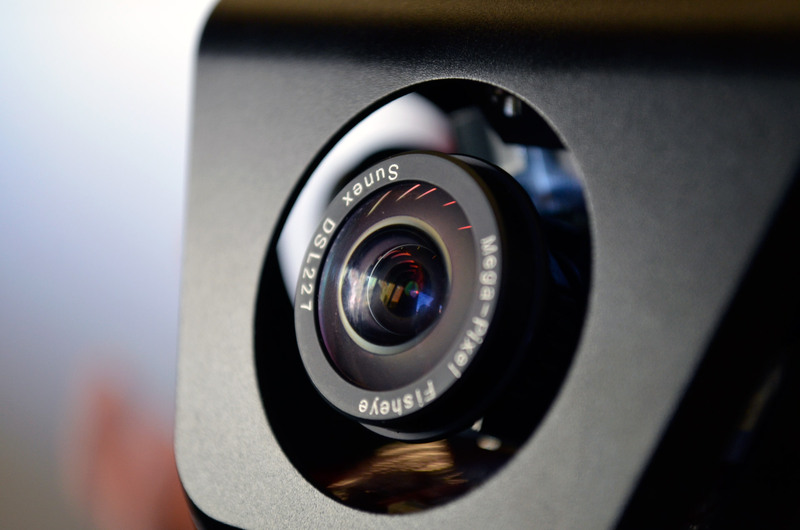 As a result, I’m not particularly interested in improvements to single camera 360 degree video systems. I’d much, much prefer 180 degrees with true stereoscopy. I haven’t watched one of the sports events yet but I was under the impression that they’re using true stereoscopy for that. Am I right? You are correct. I watched part of an NBA game and a CNN Republican debate in the Jaunt app, and they were both stereoscopic. I think the latter was even 360. But, I agree with you… assuming they require about the same bandwidth, 180 3D > 360 2D. I guess I’m confused then. Because I started to watch the Michele Obama thing on JauntVR and it didn’t look stereoscopic to me. It looked like 360 degree video. Are some Jaunt videos 360 degree monoscopic and some true 3d? If I explore their other videos will I find some that are true 3d? My bad… I just realized it wasn’t JauntVR that I was using to see that stuff, but rather NextVR – they are the ones that have signed a 5-year contract with Fox Sports. Not sure if everything they have available to watch is stereoscopic, but the two I mention above definitely are. I used a Gear VR, but I would assume it’s available for your DK2 as well…? You’re right about sports Bryan. 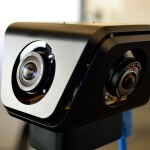 NextVR uses a dual sensor 180-degree rig. Definitely check their stuff out when you get a chance. I don’t see them yet on Steam or Oculus PC, but their Gear VR stuff is pretty impressive for these early devices and current bandwidth. I think 360 content is appealing, even mono. It’s not as appealing as synthetic VR content, and mono is generally less appealing than stereo if done with similar skill. I think cameras like this a great development and I hope they’re successful and can keep evolving. The really break through will be light field cameras or real-time 3D scanning so they can have correct depth information and motion parallax. Not sure who they’ll do it but I agree. 360 mono is meh. I’d prefer 180 stereo. I have spoken with Eugene Levit from HumanEyes. 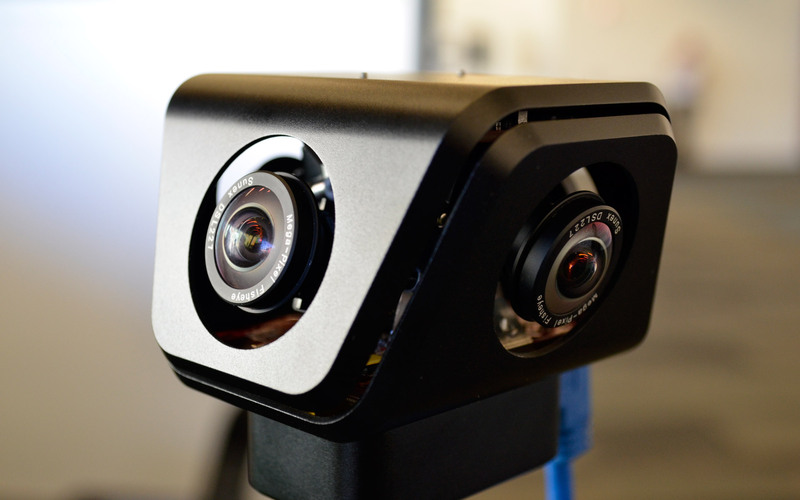 You might take a look at VUZE 3D 360 camera that’s coming out in October. The price is going to be around $800. Scott, how was the real-time stitching with objects up close? I’m looking for a 360 camera system that can handle people close-up, while keeping the background stitched. Hi, why does RoadtoVR ignore the lower end of the market which can give a good 4k experience for around $400. I have even emailed trying to advertise on the site? I’d also be interested in what you’ve got to offer…. Shame how these guys want us to fork out the cash, but can’t even be arsed to put out a sample video. Who in the right mind would want to buy this piece of crap? Look at their own software for example. No customer support. Take a look in their own forum to see all the complaints. Their video-stitch software has so many bugs, and almost unusable. The last time they try to fix anything was over a year ago. What is also hilarious is they try to sell you a product without any video.